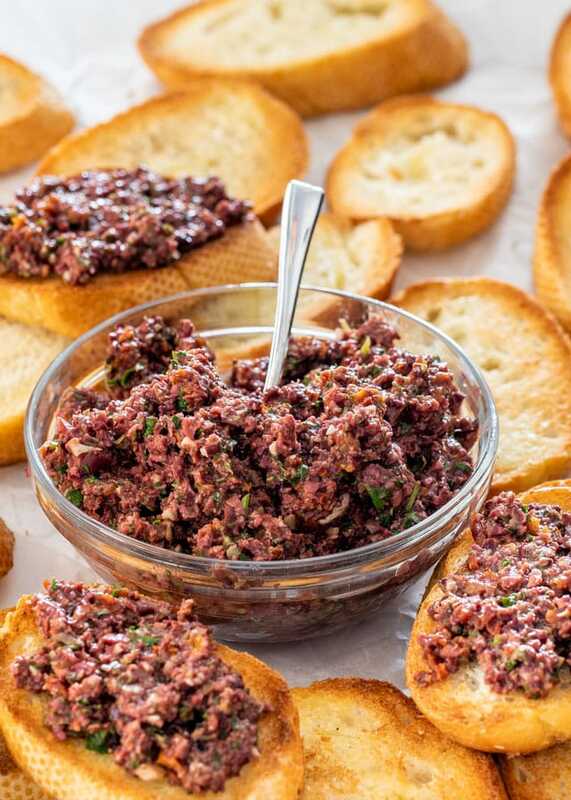 This Olive Tapenade is a simple and savory spread made with olives and sun dried tomatoes. All made from scratch and perfect to be served on crostini, as a dip or a condiment! I really love olives. Probably because of how salty they are. I’m a sucker for anything salty. So as you can imagine, this olive tapenade is right up my alley. I would probably take this kind of dip over a creamy cheesy dip. I know, weird! But I love all sort of olives. There’s a vendor at the market we usually go to on Thursdays, and all she sells are olives. I’ve never seen so many different types of olives in my life. 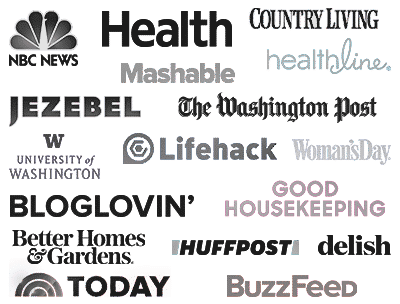 And we’ve tried most of them. She also sells all sort of tapenades. However, I prefer to make my own. 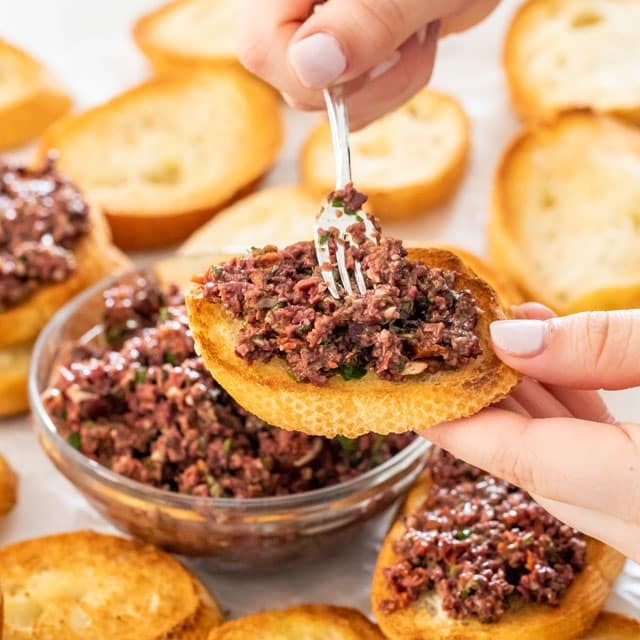 Tapenade is a Provencal name for a spread or dip consisting of pureed or finely-chopped olives, capers, and olive oil. There are many versions of tapenade, but the main ingredients is usually olives. 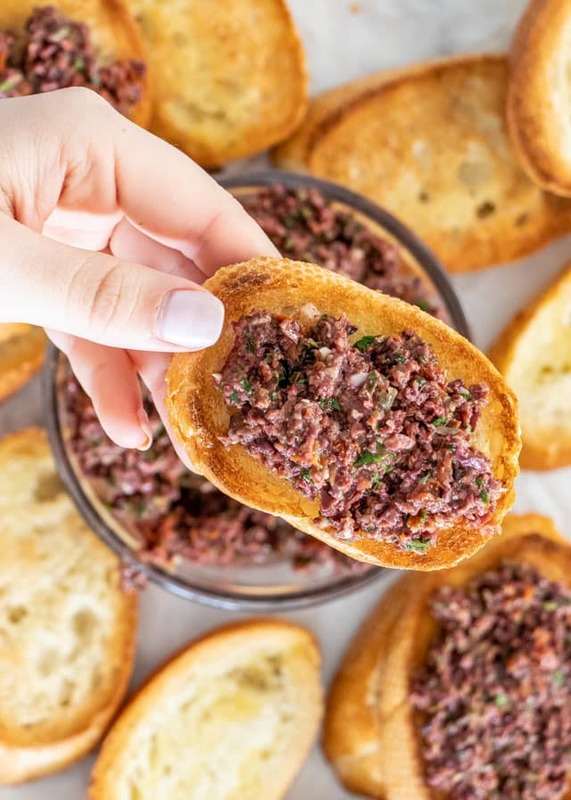 I love making my own tapenade, because it only takes about 5 minutes to make a great tapenade, and it’s fresh and I know all the ingredients that go in it. I love the addition of sun dried tomatoes to this olive tapenade, and also instead of using just plain olive oil, I decided to go ahead and use the oil from the sun dried tomatoes, and take advantage of all that flavor. Simply place all the ingredients in a food processor and pulse until a course puree or desired texture. 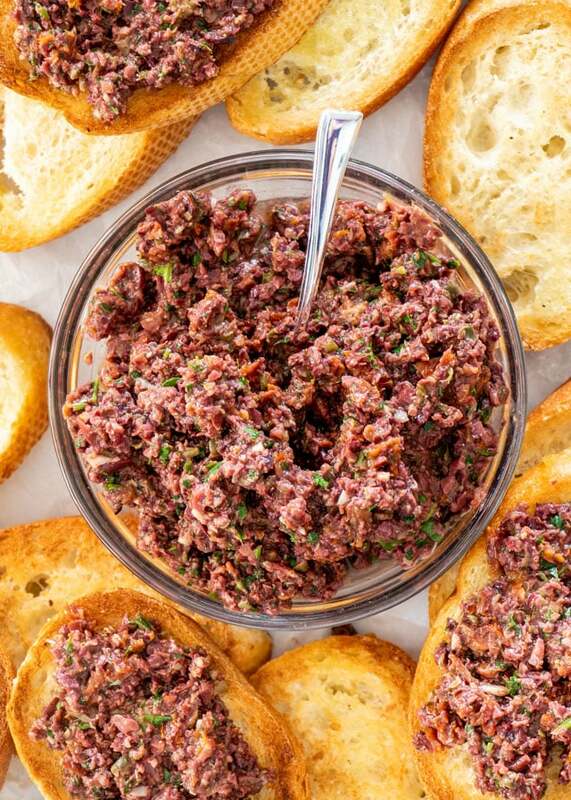 I love to serve this tapenade over crostini, as a dip with some good tortilla chips, or even on lamb chops. YES! Totally a must try! I even made these tarts with it. There are many variations of tapenade, some even with anchovies which I’m yet to try. 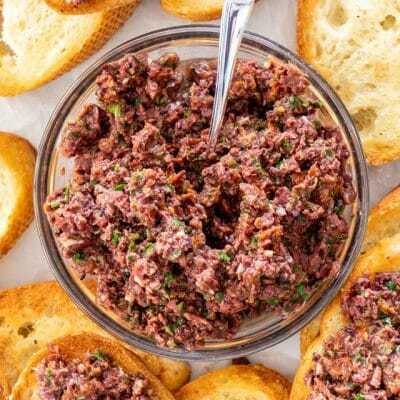 This tapenade is quite impressive and delicious, so I hope you give it a try! Tapenade can be stored in an airtight container or a jar in the refrigerator for up to 3 days. Make sure to bring it back to room temperature before serving. If you seal the jars or place the tapenade in freezer containers, you can freeze for up to 3 months. Place all the ingredients in a food processor and pulse until a course puree or desired texture. Serve over crostini, as a dip or condiment. Recipe originally published August 2011. Updated with new photos and video. Just made this. I don’t have a food processor, I use a little electric food chopper. Did it in two batches and it’s great. Growing up in Tampa, Florida, I have eaten this for years at the many Cuban & Spanish eateries in Tampa. I have always loved it and this one is so easy to make! A huge hit! I loved it on crostini’s with goat cheese! I’m not even an olive lover! Aww what a great compliment. Happy cooking to you, rock star! What do u think about using Spanish queen green olives with pimento? If you love those olives, then it will turn out great. So good again. Added the capers this time. So good I just doubled it because everything was sitting on the counter. SO low carb too. Thabks again. Awesome! I substituted the parsley with basil! It was fantastic! I thought it was a type of Taté at my first glance but it turned out some dip that I’ve never tried before. I’m really curious at its taste now. Gotta try soonnn! This tapenade I delicious. The sun dried and fresh lemon really make it. I skipped the capers and also added black olives. Super easy and quick. Glad you liked it Patt! I don’t have a food processor. Would a blender work? Definitely. Just make sure to use quick pulses and stir often. Made this last night, it was so easy and delicious! Thank you! I’m with Megan, I love it on a baguette, but have been paying $8 for a tiny tub of it! Thanks for the recipe, I am going to try my own! Thanks guys, it’s super easy to make. Hope you enjoy it. I love to cook with tapenades… makes a great stuffing for pork loins! 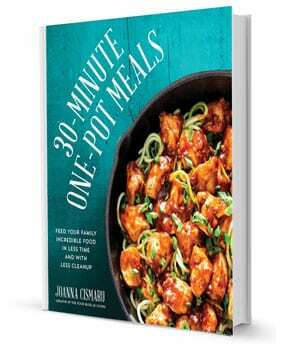 Can’t say I’ve ever tried it with pork loin, but that does sound like a great idea, will have to give it a shot. Thanks again, Dave. This sounds really good. I loved this dish…very new to me! Lovely photography! !